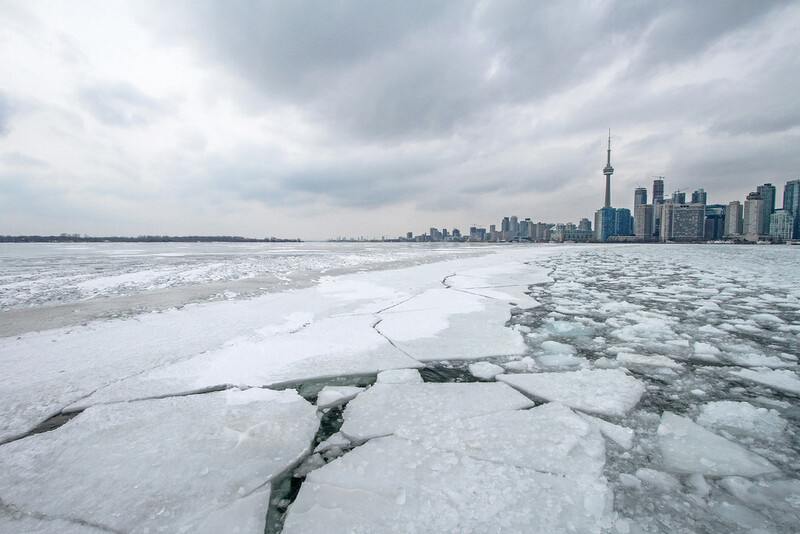 A frigid February didn’t freeze home sales or prices in the GTA. According to the latest numbers from the Toronto Real Estate Board (TREB), sales for the region were up 2.1 per cent from the same time last year. However, it was the condo market that stirred up the most activity. 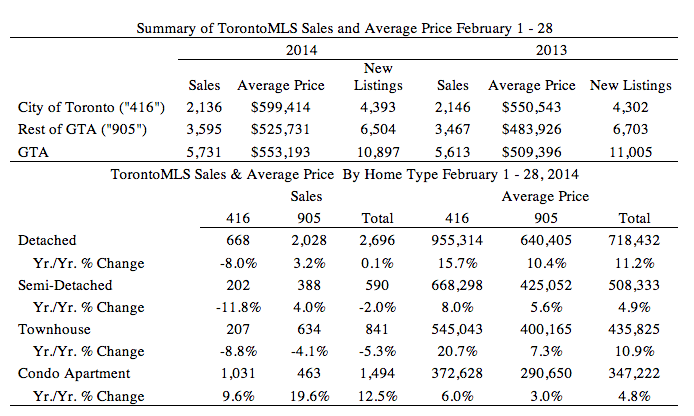 In Toronto-proper, condo sales rose in by 9.6 per cent. The low-rise market saw sales of detached houses drop by 8 per cent, semis see an 11.8 per cent slump and townhouse sales decrease by 8.8 per cent. The 905 saw similar trends, with condo sales up an astonishing 19.6 per cent, year-over-year. Sales growth for low-rise housing was more modest with detached homes seeing an 3.2 per cent uptick in transactions and sales of semis rising by 4 per cent. Townhomes in the suburbs saw a 4.1 per cent decrease since February 2013. “New listings of resale condominium apartments were up on a year-over-year basis, giving buyers ample choice. This is in contrast to the listings situation for singles, semis and townhomes, where supply continued to be constrained. Some would-be buyers had difficulty finding a home that met their needs,” said President Dianne Usher in the news release. In the 416, townhouse prices rose 20.7 per cent to $545,043 compared to February of last year. Detached house prices in Toronto proper are inching closer to the million dollar mark – prices increased 15.7 per cent to $955,314. In the 905, detached house prices also saw a big leap, with the average price rising to $640,405, up 10.4 per cent from the previous year. Looking for more market news? Calgary house prices broke price records in February. Read up on it here.